Above Ground Storage Tank (AST) Services - GES - Geotechnical & Environmental Services, Inc.
GES Services Keep Your Above Ground Fuel Storage Tank Safe. 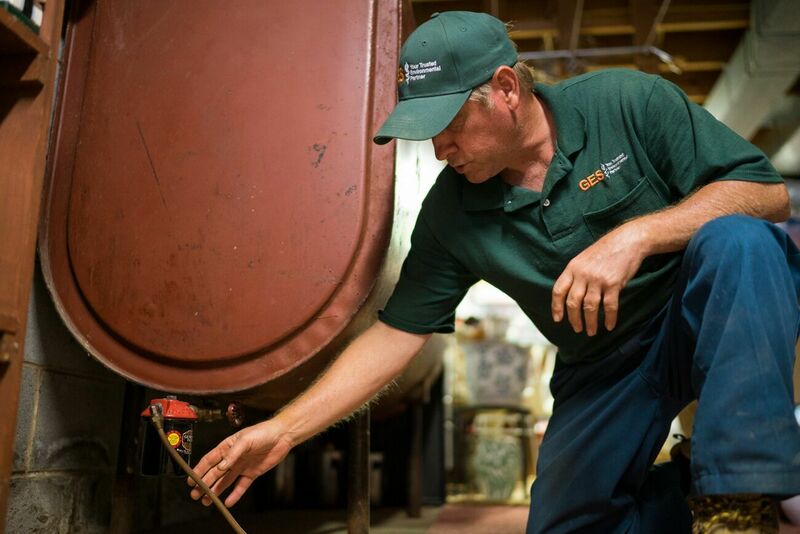 At GES, we offer a full line of environmental services for above ground fuel storage tanks (AST) throughout Virginia and its surrounding areas. Our knowledgeable team understands and is well versed in current safety best practices and environmental regulations for fuel storage tanks. Their knowledge and experience with tank systems and design means they are familiar with many different tank types and applications and can keep your property and business safe from any possible leaks or defects in your existing tank. At GES, we use physical inspection and testing to determine the integrity of your above ground tanks. We look for corrosion, deterioration, and discharge in and around the tank and it’s components. We ensure all connections are engaged and that containment systems in place are sound. Once we’ve gathered our data, we submit a comprehensive report to you for evaluation. If contamination has occurred, we include a detailed plan of action that can be implemented immediately upon your approval. Broad Commercial Service Area Makes Your Job Easier. If you or your organization own multiple pieces of property in Virginia and the surrounding areas, GES is the company to choose for your above ground storage tank services. Our broad service area means you can work with one company for all your locations. From emergency spill response to Environmental Site Assessment, our professionals provide comprehensive services to our clients. Trust A Local Business Where Service Is The Top Priority. Since 1988, GES has emphasized service in all aspects of our business. We believe in building and fostering positive relationships with our clients, both residential and commercial. We are committed to our community and to the organizations that make it a viable location for business. Choose GES for above ground storage tank services. We are your trusted environmental partner. Are You Ready For Above Ground Fuel Storage Tank Services? Have Questions? Prefer A Phone Call? GES serves residential and commercial customers throughout Virginia and West Virginia. Contact us today with any environmental questions you may have about your property. After months of preparation, GES/EDAC, Inc. (GES) has formally introduced a new corporate logo and website. GES, founded in 1988, became an affiliate company with Dixie Gas and Oil Corporation (Dixie) in 2016, but the GES staff remains the same and providing the highest levels of service and reliability to customers remains central to the Company’s core values – same company, new look.